The New York Times says, "There Is a Revolution on the Left. Democrats Are Bracing." The Times' story is focused on what is happening in Michigan, where a progessive Muslim candidate is seeking the Democratic Party nomination for governor. The primary election in Michaigan is scheduled for August 7, 2018. In a story that appeared on Sunday, July 22, 2018, NBC says that "Democrats" are doing more than "bracing." According to NBC, moderate Democrats are holding secret meetings to derail any effort to move the Democratic Party to the left. Progressives, says The Times, are feeling empowered. More moderate Democratic Party leaders are feeling scared. They seem to think that if the Democratic Party goes too far to the left, the Democrats will lose to the Republicans. Or, reading between the lines of the NBC report, maybe those so-called "moderate" Democrats who bemoan any "leftward" tilt are really on the side of the rich and famous, and their allegience is there, not with the ordinary working men and women who are being savaged by our economy. DETROIT — For Rachel Conner, the 2018 election season has been a moment of revelation. A 27-year-old social worker, Ms. Conner voted for Hillary Clinton in the 2016 primaries, spurning the more liberal Bernie Sanders, whom many of her peers backed. But Ms. Conner changed course in this year’s campaign for governor, after concluding that Democrats could only win with more daring messages on issues like public health and immigration. And so on a recent Wednesday, she enlisted two other young women to volunteer for Abdul El-Sayed, a 33-year-old advocate of single-payer health care running an uphill race in Michigan to become the country’s first Muslim governor. “They need to wake up and pay attention to what people actually want,” Ms. Conner said of Democratic leaders. “There are so many progressive policies that have widespread support that mainstream Democrats are not picking up on, or putting that stuff down and saying, 'That wouldn’t really work.'" 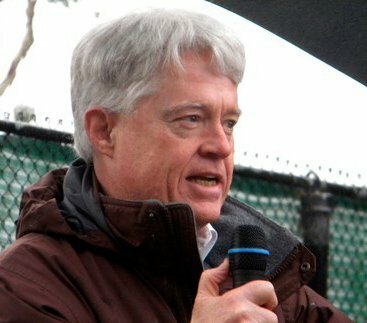 .... Mark Brewer, a former longtime chairman of the Michigan Democratic Party, said “progressive energy” was rippling across the state. But Mr. Brewer, who backs Gretchen Whitmer, a former State Senate leader and the Democratic front-runner for governor, said Michigan Democrats were an ideologically diverse bunch and the party could not expect to win simply by running far to the left. 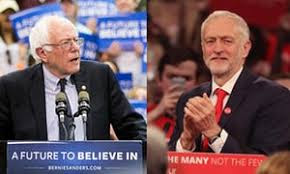 Similar issues are arising in Britain, where Jeremy Corbyn, the Bernie Sanders-like leader of the Labour Party, is trying to take his party into a majority position in Parliment. The complaint from the more moderate members of the Labour Party is that Corbyn and his policies are just too radical, and that Labour can't prevail if the party doesn't adopt a set of more moderate positions. The left internationally has been stuck on the horns of a dilemma for quite some time now. When radicals take state power but fail to abolish private property, internal contradictions eventually catch up with the government and dash the hopes initially placed in it—Syriza in Greece and Chavista Venezuela being prime examples. With Cuba and North Korea as relics of the “communist” past, there are few on the left that consider them as models in the way that large parts once did fifty years ago, even more so when both hold-outs are now moving rapidly toward a Chinese-style economy. Just this week, there was news that Cuba will now recognize private property under a new constitution. Despite such discouraging tendencies, radicalism persists mostly as a result of the assaults on living standards the capitalist system imposes. Since Proyect bills himself as an "Unrepentant Marxist," it probably isn't unexpected that he would think that any political agenda that doesn't seek to abolish private property is just not up to snuff. I guess his advice to the left, in both Britain and the United States, is simply to forget about trying to win public office if you don't have a truly progressive agenda. I like to think of myself as "progressive," but I have never thought that getting rid of private property should be a political objective. I totally repudiate that idea, and think, in fact, that the idea of abolishing private property is very "un-American." I am pretty certain that an overwhelming majority of Americans feel the same way, and let me include Bernie Sanders is the list of people whom I do not think want to eliminate private property. The Declaration of Independence is our nation's statement of "first principles." It says, and I believe it, that we all have certain unalienable rights, and that among these are the right to "life, liberty, and the pursuit of happiness." I am quite aware that the "pursuit of happiness" part of this formula is an American innovation, and that the initial phrasing, which I believe was inspired by John Locke, was "life, liberty, and property." I am not of the opinion that Thomas Jefferson's revision of the earlier formulation was intended to convey the thought that a right to private property was not to be considered as one of our unalienable rights, and a review of the Constitution, in fact, which was adopted as a way to constitute a government that could actually achieve the promises outlined in the Declaration, makes clear that our governmental system is absolutely committed to protecting the right to individual private property. So, I am not seeing the "dilemmas of the left" quite the way the article in Counterpunch sees them. Our American system of government is premised on the idea that our elected officials, who actually become the government once elected, should do what the people who elected them want. Every election is supposed to be a contest between political parties that represent groups of people with different political objectives, and different ideas of what the government should do. The group with the most votes wins. That is the way it is supposed to work, at least. The Democratic Party's only dilemma, as far as I can tell, revolves around the following question. Which side are you on? Do we, as Democrats, want to represent people who have lots of money and power, or do we want to represent everyone else? Working to achieve a particular public policy result is what a healthy politics is all about. Turning politics into an exercise in which the main objective is "winning," instead of advancing a particular set of policy goals, is a corruption of politics that has gotten us to where we are now. Most people don't vote at all, because who wins the contest doesn't make any difference. Unless the party that wins is going to do what the people who elected it want, why bother to vote? That's the dilemma for the Democratic Party. It is pretty simple. Which side are you on?